Our product range includes a wide range of corrosion resistant u.v sterilizer, uv disinfection sterilizes, ultraviolet sterilizer, uv sterilizers and mounted uv sterilizers. The Corrosion Resistant U.V Sterilizer is offered by us to meet the exact requirements of the clients in the best possible manner. 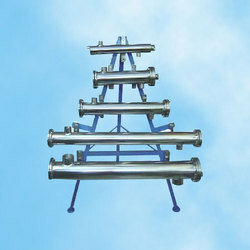 These U.V Sterilizes are used for prevention of pollutants and other harmful contaminants in water. We make sure to design these products in compliance with the international quality standards, under the able guidance of our team of experts. Moreover, these products can be availed from us in custom-made form. The UV Disinfection Sterilizes offered by us are known for their less maintenance, easy operation and environment friendly nature. 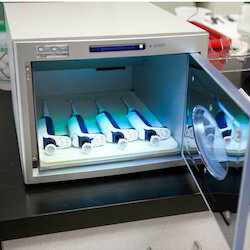 These sterilizers use ultra violet technology to purify the water so that our clients get the purest form of water. Manufactured from latest technology and updated tools, our range of sterilizers are available at cost effective prices. Our range of quality Ultraviolet Sterilizer are made of Teflon/FEP parts instead of to stainless steel to avoid any king of toxicities of oxides into pure water making the sterilizer reliable and sturdy. It comprises of strong UV field which destructs 99.9% of microorganisms. Teflon eradicates growth of harmful elements and contaminants to avoid blockage in the UV rays. 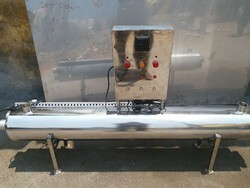 We are the proficient manufacturer and supplier of UV Sterilizers in Chennai, Tamilnadu, India.which is designed and manufactured using high grade raw material. These are precision designed using the skills of our product designers and construction staff. They are made in Conform to international quality norms & standards. Our products are available in various designs, shapes and sizes at industry leading prices to fulfill the requirements of our customers. 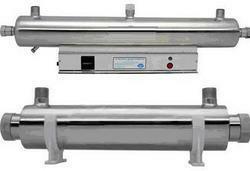 Looking for UV Sterilizers ?